A simplied way to remotely transfer inventory between locations. 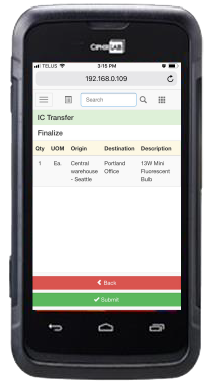 Mobile Device item scan or search. Actively Developing Software for your business and accounting needs.